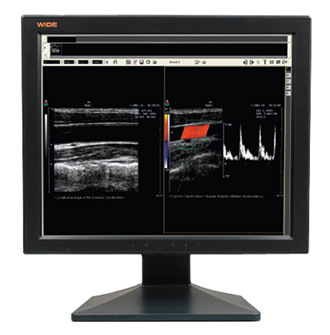 Clinical monitors WIDE - it is a series of medical monitors consisting of monochrome monitors 1MP (IF1901M, IF1901MP), and color monitors medical performance 1MP (IF1911C, IF1911CP) and 2MP (CL20, CL24). Clinical monitors WIDE are versatile and adapted for use in such fields of medicine, as: X-ray diagnostics, computed, magnetic resonance tomography, surgery, ultrasound diagnostics, and in the offices of specialized professionals in health facilities. Each clinical monitor WIDE, with its versatility and high technical parameters, has a reasonable price, which makes it popular in numerous medical institutions of Europe, America, and CIS countries.